The English lessons will be held in small groups of 10 to a maximum of 15 students of the same age group. There is one tutor for each group, who will be an important reference person for you. 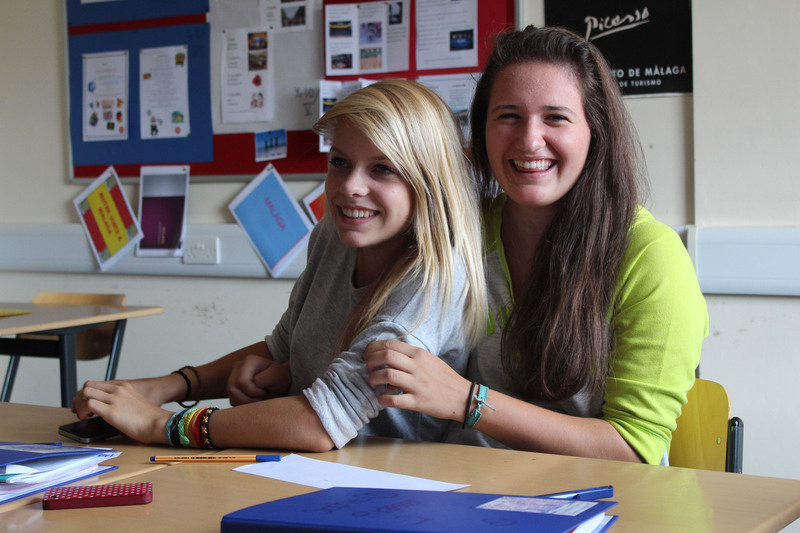 Additionally, there will be two or three other English teachers who will teach and look after you. These three to four learning groups form a so-called TU (teaching union), which guarantees variety and a “fresh wind”. There is no danger of daily grind or monotony on this language experience. Our “cool” teachers provide exciting and varied English lessons. It is all about active (English) learning, where fun and learning go together, and together we can achieve the desired success. … should not read this or they will start blushing, but we certainly have selected very special, highly motivated, cool, kind and original English experts for you. The TU leaders come from Austria and almost all of the others are English native speakers, who come from Great Britain or the USA. Since the native speakers cannot speak German, or only a tiny bit, your English communication skills will come to the fore. All teachers are there for you during your free time or the afternoon workshops. Furthermore, they will accompany you on all of the excursions. Every TU (maximum of four groups) has its own bus available. Promoting linguistic competence is surely the main goal for every language trip. Solely by having contact with the people and being in the country, your English will improve enormously. But focused English lessons are the guarantee of ideal results. In the mornings you will have about 4 hours of English lessons in a classroom. In addition, there are obligatory workshops in the afternoon. According to your personal interests, you can choose freely from English sports, tennis, English cooking, magazines, drama and musical, choir, dance and many other activities. Each class will be provided with the essential teaching material for the lessons. 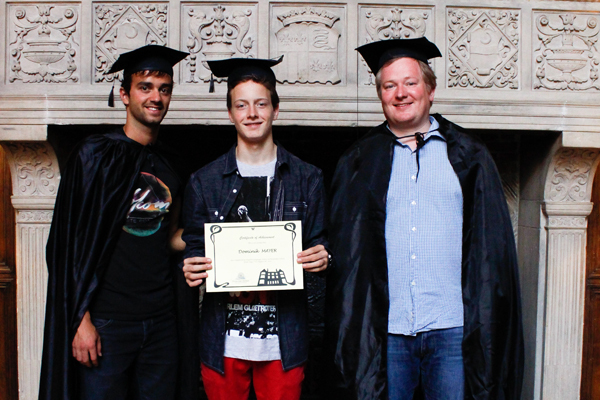 Every student will receive an English certificate at the end of the course. We have selected particularly motivated, cool, kind and original staff members and teachers. The English-speaking colleagues (and that is most of them) will challenge your English communication skills considerably, because they either speak only a little German or none at all. Every teacher is responsible not only for your English lessons, but also partly for your leisure time and the workshops. An English learning group consists of a maximum of 12 to 15 children of the same school level. The group teacher will be your most important reference person. Another two to three teachers will also teach the group. Because it would rather be boring to always be with the same 12 students, we combine three or four teaching groups into a teaching union (TU). A TU consists of 36 to 48 students who are well matched in age and interests. Each TU has its own bus for the various excursions. There is, however, no age separation in the leisure periods and it is certaintly no problem if you want to get to know people from a different group! The English secret of success! The English courses for the senior-class students generally concentrate on the expected subject matter for the Zentralmatura, which came into force in 2013. The developed script primarily includes areas of British and American regional studies and gives the required background knowledge for the successful communication and presentation which is necessary for English. A rotating teacher team (one Austrian TU teacher with two to three native speakers) will give you English background knowledge in small groups and in a competent and communicative manner, which ensures the sustainability of the learning. The students will be provided with the school’s comprehensive script (included in the course price), which will serve in the following school year as an English learning tool divided into the prepared topics. As well as these materials, the native speakers will supply first-hand information. You will benefit from this opportunity to work on and resolve language issues personally with the teachers! Three to four teaching groups make up a teaching union (TU), which will go on all of the excursions together. Creative, musical and athletic workshops complement the lessons. Indeed, we also offer a variety of leisure activities and opportunities for this age group as part of the language camp. After all, we want to give you not only a language course in England, but also an experience you will remember!